Consider the negative aspects of declawing a cat. There are many reasons why people may consider declawing a cat. While it may sound like a simple solution to several feline behavior problems, declawing can actually lead to more issues for your cat, including some medical complications. In the surgery to declaw a cat, the last bone of each toe is removed using a scalpel blade, a special brand of nail cutter, or a surgical laser. A tourniquet is typically used to prevent excessive bleeding, and bandages are applied to the legs before the cat wakes up from anesthesia. Veterinarians who perform declaw procedures have many ways to control a cat's pain when they have this surgery, but even with modern medicines, a cat that is declawed will still have some degree of pain. While anesthesia and surgery are very safe nowadays, there is always the potential for complications. Most cats that are declawed will stay in the hospital for the first one or two nights and your veterinarian will monitor for any problems. Other complications seen immediately after surgery can include a decreased appetite, personality change, lethargy or cystitis. The American Veterinary Medical Association (AVMA) reports additional complications, such as wound dehiscence, radial nerve paralysis (usually temporary), reduced blood flow to the limb, and tendon scarring and adhesions. Changes in a cat's behavior after declawing surgery have also been reported and are summarized in the AVMA paper, but are harder to measure accurately in research studies. Scratching is a normal feline behavior, so removal of the claws may be expected to change a cat's daily activities or personality. Between 59 and 78 percent of cats will still show the typical stretching and scratching postures, even without claws. There is mixed evidence on whether declawed cats are more likely to bite people when claws aren't available. Studies have also shown inconsistent results when evaluating whether declawed cats are more likely to have problems using the litterbox. Some of the most recent information, summarized by Dr. Marty Becker, seems to indicate that declawing is associated with more issues with the litterbox. In general, behavioral problems are not increased in cats after a declawing procedure but seem possible in certain cats. Post-declaw pain syndrome is thought to be caused by nerve pain, rather than the immediate pain of the surgery. In an interview with Dr. Robin Downing, she described post-declaw pain syndrome as feeling like tingling, burning, electrical pain or throbbing. Declawing removes a cat's natural defenses against outdoor dangers. Therefore, cats that go outdoors or may escape outside should not be declawed as removal of the claws also removes one of their main defense mechanisms. Several veterinary and humane organizations have published statements against declawing cats. These organizations against declawing (except when medically necessary) include The Humane Society of the United States (HSUS), The American Society for the Prevention of Cruelty to Animals (ASPCA) and The American Association of Feline Practitioners (AAFP), as well as others. 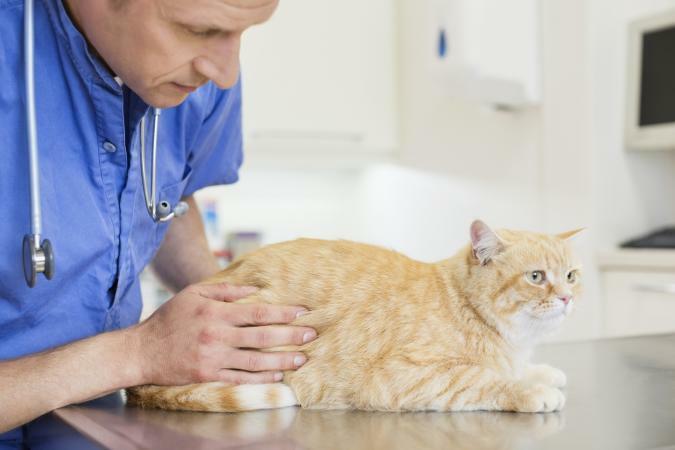 The American Veterinary Medical Association stresses that communication between a cat owner and veterinarian, and education about the procedure and alternatives are very important before an owner considers declawing her cat. Even with these guidelines, declawing cats is controversial. 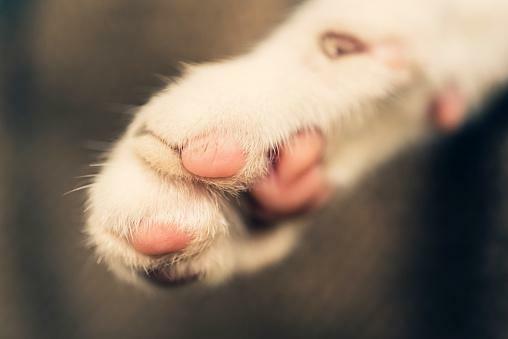 Several states and towns have tried to pass legislation to ban declawing as an option. However, there are many professionals who believe that declawing should be a last resort, reserved for situations that would cause an owner to have to give up her pet. Surgery is expensive, can have complications, and is irreversible. It is important to be well-informed before having a cat undergo this procedure. If you are considering surgery to declaw your cat, speak with your veterinarian about the procedure, pain management, and any questions you may have. Where to Adopt Kittens for Free By Patricia Lantz C.Ht.